Fluffy, soft cotton wool balls made from premium cotton. 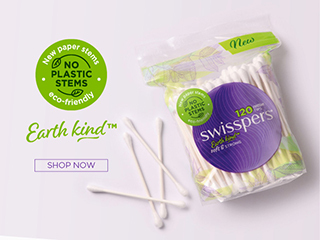 Swisspers Cotton Wool Balls are soft and absorbent. Made from 100 per cent premium cotton they are perfect for applying facial toner, removing nail polish, applying makeup and general cleansing. In addition to applying toner and nail polish remover, cotton wool balls are great for gently applying blush and contouring powder. Lightly spray with your favourite fragrance and tuck into a handbag for a gentle aroma all day. Keep away from children, and supervise any use near children.